You’ll love these gorgeous barn wedding venues in Louisiana, which run the gamut from sophisticated farmhouses to decadent rustic vintage. 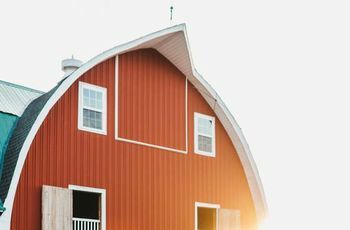 Whether your style is more minimalist farmhouse chic or luxurious rustic vintage, these barn wedding venues in Louisiana will make your farm-loving soul sing. 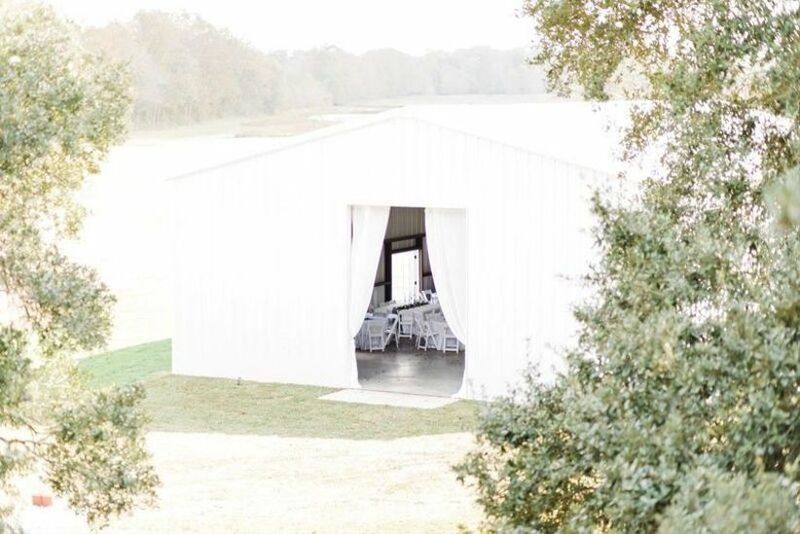 From the bayous of North Louisiana to leafy, agricultural Southeastern Louisiana, to suburban barns on the banks of the Mississippi, you’re sure to find the perfect rustic barn Louisiana wedding venues for your upcoming wedding. 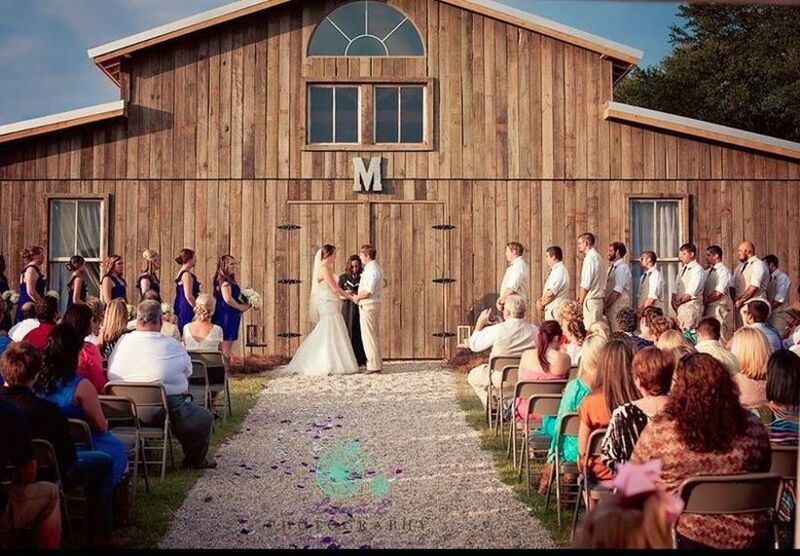 Check out the rustic barn wedding venues in Louisiana modern couples are loving! 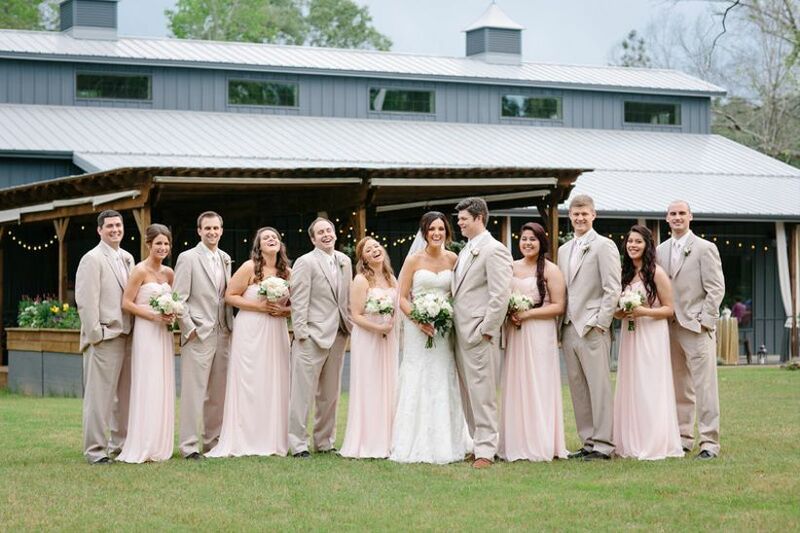 Nestled within view of Cypress Bayou in Benton, Louisiana, Saint Terre is one of the barn wedding venues in Louisiana straight out of your recurring “Chip & Jo” farmhouse fantasies. This expansive and stylishly outfitted barn venue lives up to its name — “holy ground” — with a gorgeous contrast of white walls and ebony wood fixtures and furnishings. Cement floors and exposed metal beams add a bit of industrial chic to this 3,000-square-foot venue, but the aesthetic remains solidly modern farmhouse goals. 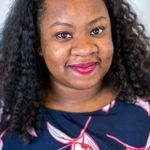 Shreveport/Bossier couples will love the old-fashioned white wedding chapel for ceremonies, too, which holds up to 250 guests and looks amazing when decked out in the season’s trendiest greenery. When Steve and Julie Bogan, a happily married couple of more than three decades with four children, discovered LaChute, the 20th-century estate had seen better days. Fueled by their belief in marriage and the upcoming wedding of their child, the couple lovely restored the property’s main house, carriage house, and grounds for couples who wanted to be wed at one of the stately barn wedding venues in Louisiana. The Bogans opened the doors of LaChute to Shreveport couples in the summer of 2018. Rustic couples need look no further than the 3400-square-foot Carriage House, a rustic vintage wonder with rolling barn doors, a neutral color palette, and a mahogany staircase that leads to a barn loft. Host up to 300 wedding guests at your Louisiana wedding. 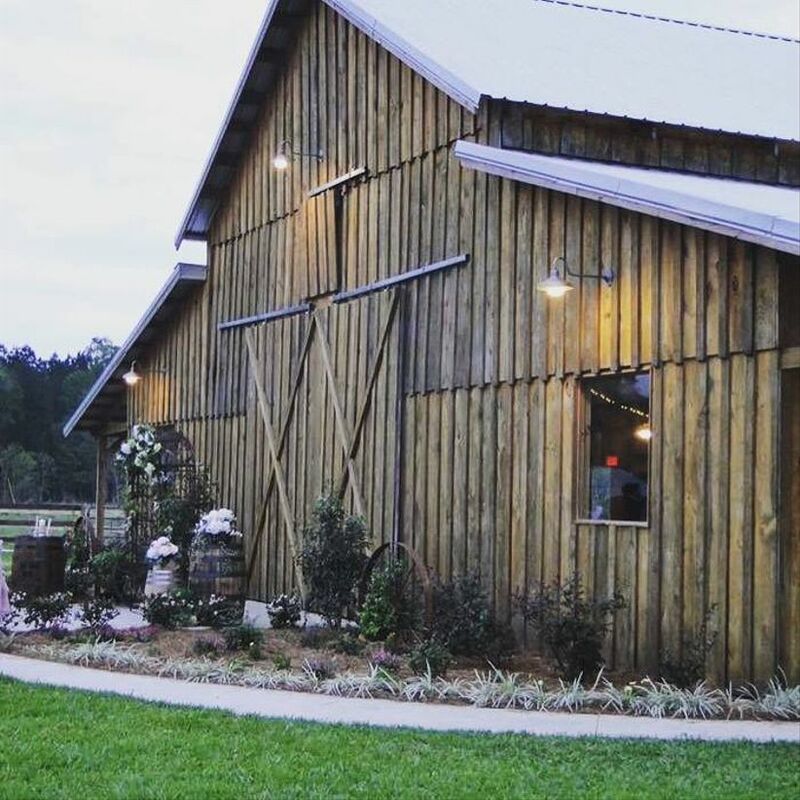 Southeastern Louisiana’s stunner, The Barn at TH Farms, is also one of the most gorgeous barn wedding venues in Louisiana. 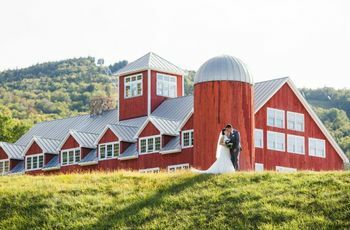 Quietly seated in the town of Independence, The Barn is a 5,800-square-foot structure with a couple’s suite attached for getting ready and accommodations after the wedding. 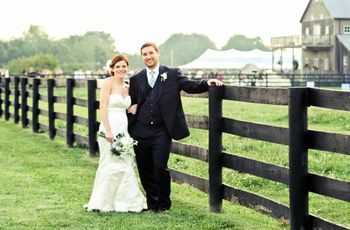 Super adaptable, The Barn is well-suited for both ceremony and reception with lush grounds serving as the ideal ceremony site. 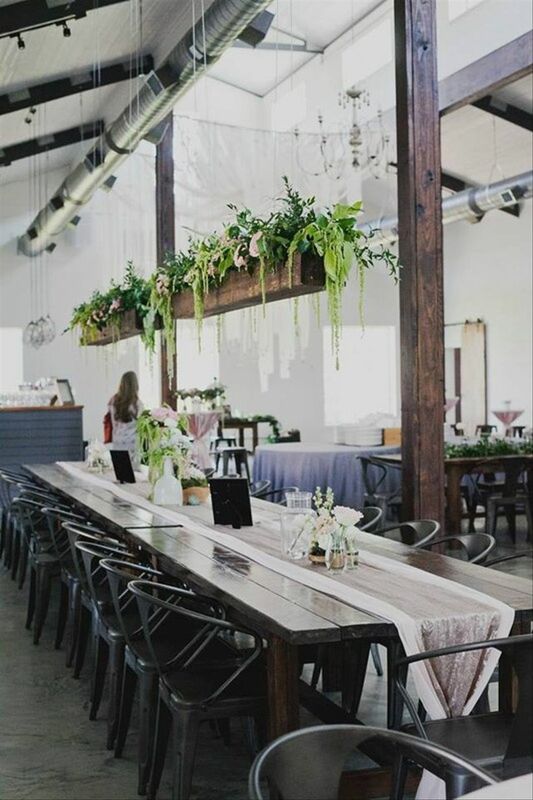 Indoors, the barn is decked in natural wood, stylish chandeliers and string lights, and sparse décor, so you can create a unique wedding vision. Jump the border to find Picayune, Mississippi, less than 30 miles from Louisiana and part of the New Orleans Metropolitan Area, and the gorgeous Barn at Sarah Bella. Settled on more than 130 acres of Gulf Coast farmland, the stately Sarah Bella overlooks Lake Pontchartrain. 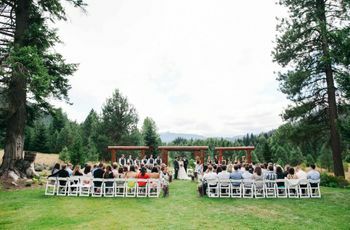 Host up to 360 wedding guests on the expansive grounds with a ceremony under the mature oak trees or in front of the white columns of the main house. The barn features modern rustic siding, exposed wood walls, exposed wood beams, and elegant chandeliers for a touch of chic. Couples heading to Sarah Bella for engagement photos, bridal portraits, and weddings alike will have tons of lush nature to pose with here, from the marshy bayous to the barn to the vintage painted wooden carriages.